A woman suffered a broken nose while playing baseball at a newly-opened indoor activity park in Suntec City on Nov 25, after the ball rebounded and flew towards her face. In a Facebook post on Sunday (Dec 2), Ms Serene Tan recounted her ordeal as well as shared photos of her nasal injury and the position where she was hit. A video, filmed by her husband and uploaded in Ms Tan's post, also showed the exact moment when she was hit by the ball. When contacted by Stomp, the 35-year-old woman said she had visited SuperPark Singapore at around 1.30pm with a group of more than ten friends and family members, including children. She said: "I had purchased 1.30pm-to-5.30pm tickets and paid $480 for them online. "When I reached SuperPark at 1.30pm, I was informed by counter staff to sign an online waiver form or I would not be able to collect the tickets, even though I had already paid for them." SuperPark, which originated from Finland in 2012, launched its Singapore branch on Nov 17 this year. SuperPark Singapore's website lists its assumption of liability and waiver terms, which visitors are required to consent to. Ms Tan, a mother of two, described how the accident occurred: ""It was close to 5.30pm when I went to play the last round of baseball. "I was stationed at the right designated tag, positioned correctly as shown in their safety guide and managed to hit the ball. "The ball hit the soft net but as the net was mounted on a metal pole on a yellow pillar, the ball rebounded towards my nose before I had time to react. "I was lucky enough that I wasn't facing the ball directly. Otherwise, I may have collapsed due to the ball's high speed. "I had friends and my husband behind me, watching the whole incident when the ball rebounded." Ms Tan was subsequently taken to a hospital of her choice. "Blood just kept dripping out two hours after the accident", said Ms Tan in her Facebook post, adding that half her face was bloodied until a medic cleaned her up. Ms Tan sustained a nasal fracture, commonly known as a broken nose, in the incident. "I was admitted to hospital on that day and discharged the next day after a computed tomography (CT) scan and X-ray," she told Stomp. "The doctor discharged me as I was unable to proceed with surgery due to my nose swelling. I went for surgery on Nov 30 instead and was issued with one month of hospitalisation leave." 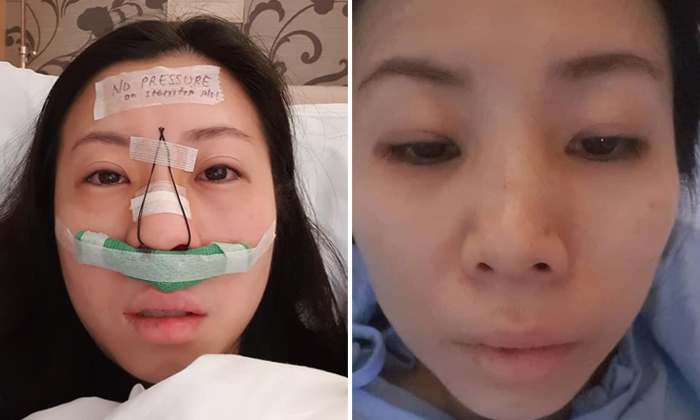 In her Facebook post, Ms Tan wrote that her nose was "swollen like [a] pig" following her operation and that it is "no longer straight". Ms Tan, whose post has garnered almost 3,000 shares and nearly 500 comments, said her medical expenses amounted to more than $30,000, which is fortunately covered by her insurance plan. According to Ms Tan, management staff from the park had called her husband on the day of the incident to ask about her condition. Her husband informed them that Ms Tan would return their call after she was discharged from hospital, and she did so on Nov 29. Ms Tan said she posted about the incident on Facebook in hopes that it will prompt more safety measures to be implemented and to create more awareness. "Legal action and compensation is not what I want," she added. "The intention of the post is crystal clear and that is to create awareness so that people can be more careful when using the facilities. "As someone who loves kids and whose first job was a childcare teacher, I, from the bottom of my heart, really do not want to see any children injured, especially since this is a child-friendly park. "After all, it's the visitors who have to bear any suffering and medical costs that arise in the event of a mishap. My experience is a very good example and I do not want to see anyone ending up like me. "There were some commenters who did not understand and asked why it took me one week to post it on Facebook. But I have been in and out of hospital, where would I have the time to post? "Nevertheless, this is a blessing in disguise because the ball did not hit my eyes and cause me to become blind." In a media statement to Lianhe Wanbao, SuperPark Singapore confirmed that "a baseball bounced from an unexpected angle" and Ms Tan "was observed to have a cut, nose bleed and swelling." The statement said: "SuperPark staffers provided immediate first aid to the injured guest and sought immediate medical support by calling an ambulance. After medic care, the injured guest decided to proceed via her husband’s car." The park remained in contact with Ms Tan since then in care for her recovery, it stated. Mark Kumarasinhe, Chief Executive of SuperPark Asia, added: "We are certainly saddened to learn of Serene’s injury and I have been following this since the incident occurred. "My team has ensured that Serene is taken care during the incident. Furthermore, we continue to reach out to Serene to monitor her recovery." According to its statement, SuperPark upholds international and professional standard of safety measures throughout all of the activities at the park with an onsite team of recognized coaches and staff members with relevant qualifications. It said: "It is worth noting that in its Asian parks, SuperPark implements significantly more onerous safety standards than those of Finland/Europe because many Asian guests have not participated in its activities to the same extent as its European guests. "Specific to the baseball activity, although there is no international or national standard on whether or not, or which type of baseball helmets that should be worn, SuperPark Singapore makes it compulsory for guests to watch a video on safety procedures (just like other activities in the park), wear a helmet (strictly enforced) and gloves to play baseball. A minimum height requirement of 140cm is also in force. "As a full face helmet with a protective grill can block a beginner’s vision which can potentially cause more serious damage to the face or skull in case of injury or lead to other dangers, SuperPark Singapore heightened its safety standards relative to Finland in an effort to keep enhancing safety measures in the park. 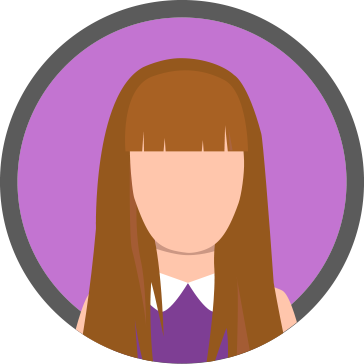 "A waiver is a common contract that is used across the leisure and entertainment industry. SuperPark is very transparent about the risks involved in various activities in the park, irrespective of the likelihood of those risks materialising. These risks are no greater than those that people experience every day when undertaking physical activities such football, hockey, gymnastics, rugby etc. "A waiver cannot be used as a defence against negligence and the incident in discussion. SuperPark firmly believes this does not amount to negligence but rather an unfortunate and very rare accident of a ball rebounding to hit one of its guests." Mr Kumarasinhe further added: "Even though we hold the highest safety standard for every SuperPark site we operate in, any injury causes us great concern. "We will take a serious review with a goal of improving our safety standards to further enhance our procedures if it is necessary."